Blowout Sale! Save 89% on the MKT Fastening - M16010301 - Wedge Anchor Stud, M6, 77mm, PK10 by Mkt Fastening at In The National Interest. MPN: M16010301. Hurry! Limited time offer. Offer valid only while supplies last. Technical Specification Item Wedge Anchor Stud Material Grade 5 Steel Anchor Dia. 10mm Anchor Length 77mm Thread Size M6 Min. Embedment 60mm Max. 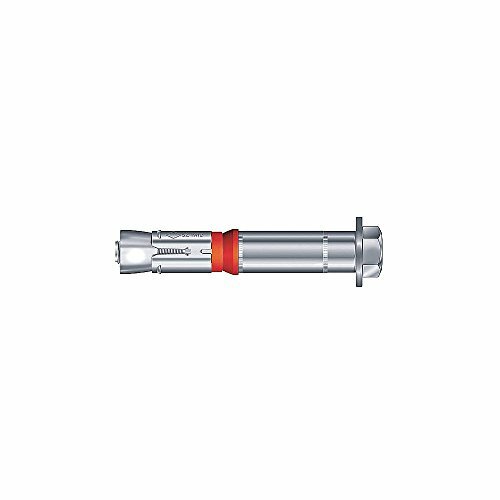 Technical Specification Item Wedge Anchor Stud Material Grade 5 Steel Anchor Dia. 10mm Anchor Length 77mm Thread Size M6 Min. Embedment 60mm Max. Work Thickness 10mm Agency Compliance ICC ESR-3173 Meets/Exceeds ACI 318 CAT 1 This listing is for pkg. of 10. If you have any questions about this product by Mkt Fastening, contact us by completing and submitting the form below. If you are looking for a specif part number, please include it with your message.